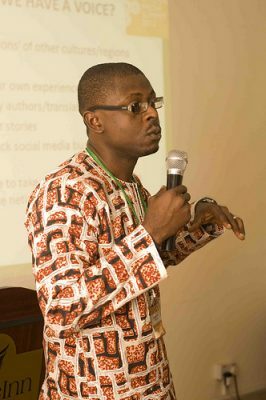 I am Nwachukwu Egbunike , a poet, publisher and social media researcher. I live and work in Ibadan, Nigeria. I was nominated for the Global Voices board elections . I wish to serve as your Volunteers’ Representative in the GV Board. 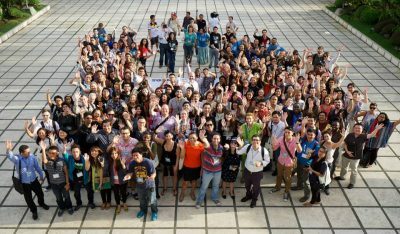 I joined Global Voices in 2011 and I have written posts for GV, Advox and Rising Voices. Asides my work in GV’s news room, I have also collaborated in many projects in the community. For instance, I mentored a young Nigerian in 2012 through the GV/Action Aid Activista bloggers’ training. In 2012, barely a year in Global Voices, I proposed that GV authors should have a ‘voice’. This suggestion ignited a series of pre- and post-summit discussions (virtual and visual). We later conducted a community wide survey, collated our findings and submitted same to the core team. As group leader, our recommendations later morphed into The Bridge. I was one of the panelists that discussed “Occupy Everywhere ” at the Global Voices Citizen Media Summit held in Nairobi, Kenya in June 2012. I was a member of the defunct Advox Core Group (2013 – 2014). With the arrest of the Ethiopian Zone9 bloggers, I worked closely with the regional editor of SSA and the Advox Director to place their plight on the global front burner. Our main strategy was through a social media campaign that took advantage of our diverse the GV community. I co-hosted the 1st African Global Tweetathon  which held on May 14, 2014. This massive tweeting about #FreeZone9Bloggers that trended in various parts of the world was also picked up by mainstream media. This was followed by “They Have Names ” series of posts on Advox which humanized the individual members of the Zone9 Bloggers Collective, who are incarcerated in Ethiopia on trumped up terror charges. They have since been released. 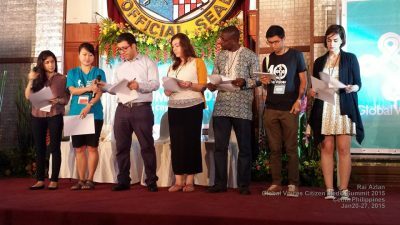 Together with other core team GVers, we drafted and read out the Appeal to Free Citizen Journalists  imprisoned across the world at the opening ceremony of our Citizen Media summit in Cebu, Philippines in January 2015.